The BCE 5ft is a solidly built air hockey table with a quality playing surface that offers a home experience as close to the real thing as you can get. The BCE philosophy is that the home player deserves as much of care and attention as the professional. There is nothing worse than a fine shot being spoiled by a shaking table. The robust construction and an attractive design of a BCE table will not be compromised to reach an attractive price point. This stylish table with a laminated PVC playing surface comes with all the accessories needed to get playing right away. 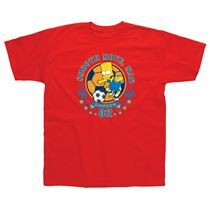 Included with this pack are two pushers and two pucks for fast flowing and high scoring action. The table is equipped with a wooden foldaway leg system, but folding legs on this table could interfere with the electric motor, so it is highly advisable not to do it. 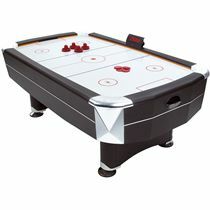 Solid wooden construction with laminated PVC playing surface for smooth and fast action. 240v electric motor provides a constant yet quiet air glide facility to guarantee smooth glide and fast game speeds. This product comes with6 month standard manufacturer’s warranty against defects for total peace of mindDeliveries to Northern Ireland are subject to an extra delivery cost. Please contact us for details. Please note that the table is equipped with a wooden foldaway leg system, but folding legs on this table could interfere with the electric motor, so it is highly advisable not to do it! 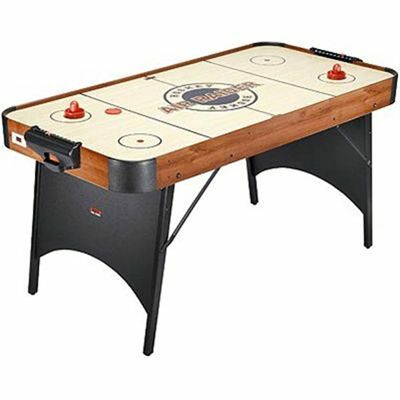 for submitting product review about BCE 5ft Air Hockey Table (AH10-4).